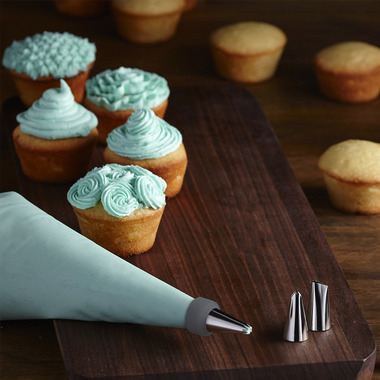 You will need this Cake Decorating Set to take your baking to the next level when decorating cookies, cupcakes, cakes and more! It comes with the 6 most useful tips, made of durable stainless steel, to easily create many designs. The set includes a reusable decorating bag as well as an easy-to-use coupler that lets you change decorating tips at any time. 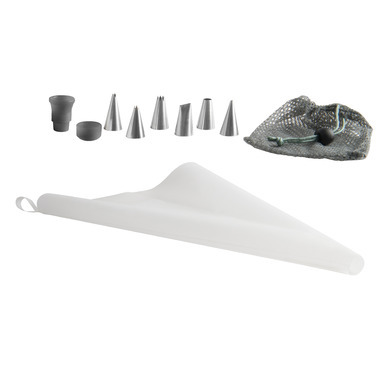 Once you're done decorating, hand wash the bag and pop the tips and coupler in the mesh bag in the dishwasher. The perfect set, even for beginners!